Dr. McDonald is a Canada Research Chair in the Department of Obstetrics & Gynecology, at McMaster University where she is a Professor. The CRC award followed her five year Salary Award from Canadian Institutes of Health Research (CIHR) as a New Investigator Award in 2009 as well as the CIHR award for Rising Star in Perinatal Research. She is also an Associate Member of the Departments of Research Methods, Evidence & Impact (formerly Clinical Epidemiology, and Biostatistics) and also Diagnostic Imaging. In addition, she holds Graduate Faculty Status, Health Research Methodology (HRM). She is delighted to mentor faculty, fellow, residents, graduate and other students. As a Maternal-Fetal Medicine specialist, her clinical work deals with high risk pregnancies. She received her MD from the University of Toronto, her Obstetrics and Gynecology Residency from the University of Ottawa and her Maternal-Fetal Medicine Fellowship from the University of Toronto. In addition, in 2006 at the University of Toronto, she completed her MSc in Clinical Epidemiology, forming the basis of her research. 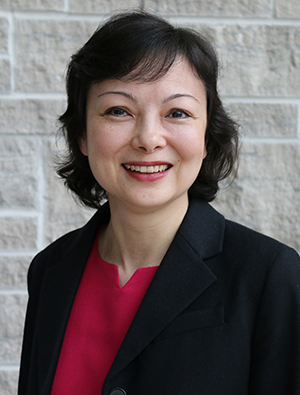 Prior to coming to McMaster, Dr. McDonald was an Assistant Professor in the Department of Obstetrics & Gynecology at the University of Ottawa and an Associate Scientist at the Ottawa Health Research Institute.